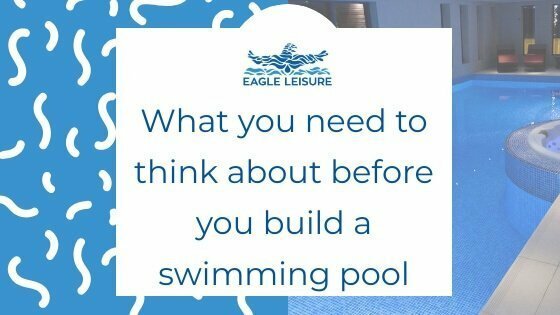 What you need to think about before you build a swimming pool? What to think about before installing a swimming pool? Installing a swimming pool is usually a once in a lifetime thing. So, chances are if you are thinking of building a swimming pool, you’ve never done it before. What do you need to think about BEFORE you even make the final decision on installing a pool? What are the important factors to consider to make sure you end up with the pool that you’ve dreamed off. We go through the initial planning steps you need to follow to help you decide if installing a pool is the correct thing for you. 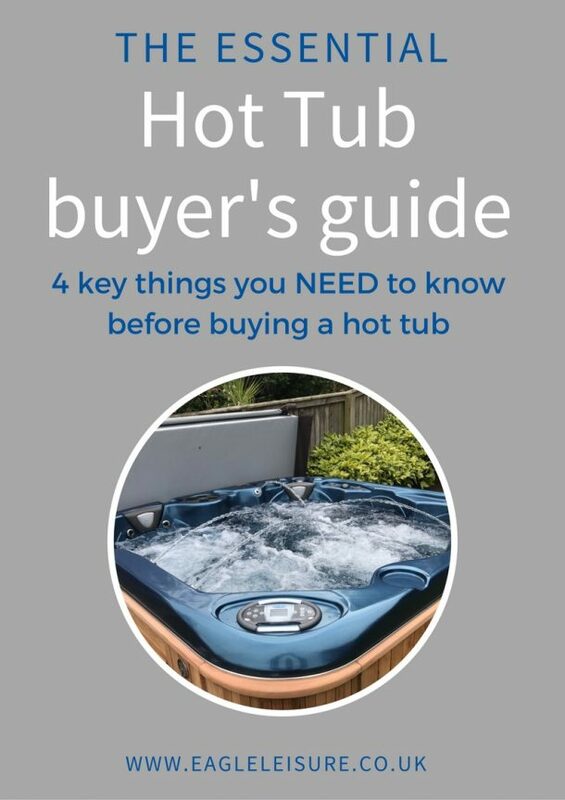 Step 1: How much does a pool cost to install? Pools are expensive to build. And they are expensive to run. There really ins’t any point dancing around that. Sure some types of pool are cheaper than others. Some pool builders are cheaper than others. But, whatever way you look at it, you are going to have to shell out substantial money for a swimming pool if you are building within Scotland or the rest of the UK. And you’ll need to be able to afford the ongoing costs of maintenance (cleaning, servicing, chemicals), running costs and any repairs that will need done. So one of the first steps is deciding how much it is going to cost you to build a swimming pool. If that cost is feasible. And more importantly worth it for you. Getting a budget cost from companies without architect drawings will be like drawing blood from a stone. Without exact specifications and designs companies are very wary about offering budget quotations. Swimming pools are like anything else. Their price depends on a massive range of factors including size, location, pool construction type, design features and many more. So how are you supposed to find out how much a pool costs? But realistically if you are looking for an in-ground pool, it will cost you on average between £60,000 – £150,000. Outdoor pools will fall on the lower end. And indoor pools will tend to fall on the higher end. For more details on this see here. With almost every pool installation company this is for the pool construction and related components along (ie. shell, pool plant, cover, pool heating unit). It does not include civil works such as excavation. 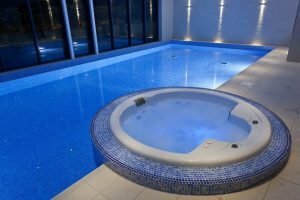 And if it’s an indoor pool it does not include the building works, any surrounds, lighting, electrical work etc. All these costs need to be calculated and factored into the overall project. If this is out with the budget you had expected, an option might be to look at a swim spa rather than a swimming pool. If you are just looking for a very general budget. If you have something know the type of pool you want and an approx. size you can contact us for a budget quote to take forward in the planning process. Step 2: What type of pool construction do you want to build? Both of these decisions will come down to a few factors including budget, design and space. Generally speaking, Sprayed concrete and tiled pools will be more expensive than liner or one-piece. And overflow pools will be more expensive than skimmer. You don’t really have to make the decision on which type of pool construction you want before going onto the next stage. Although it is worth having an idea before you approach chosen pool companies to get a quote. However, to get accurate drawings, you will need to know whether you are going to have an overflow (deck level) or skimmer pool (freeboard). Overflow pools will require a balance tank, which will need to be capable of holding 15% of the volume of the pool water. This will be underground (below the level of the pool), so that the pool water can drain into it. The space required to build this, will need to be incorporated into the planning and drawings. So it is definitely worth knowing whether you are going for an overflow or skimmer pool before starting construction. And before moving onto the next step. Step 3: Do I need to apply for planning permission for my pool? Not all pools require planning permission. If they are indoors, and part of a new build or extension, the chances are you are going to need to apply for planning permission. However, if you are building an outdoor swimming pool it may fall under permitted developments, which means you may not need planning permission. If the front or side of your house faces a road, the pool cannot be closer to the road than the house is. The pool cannot be taller than 3 metres (very unlikely for an in-ground pool but an enclosure may take it over). The pool doesn’t take up more than half of the grounds behind your home. If none of these apply, you may be able to build a pool with out planning permission. However, it is always worth checking with your local council area as they may have additional permissions they require. If the above do apply, then you will need to apply for planning permission. However, regardless of whether your pool is indoor or outdoor. And whether planning permission is required or not. You will have to submit a building warrant to ensure the pool complies with Section 6 (energy) 2015 of the Scottish Building regulations. This regulation ensures guidelines around insulation and energy consumption are met by the pool design. Do I need planning permission to install a swimming pool in Scotland? 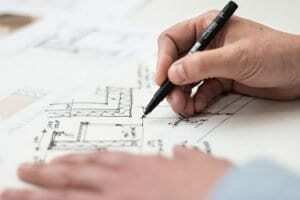 Step 4: Do I need an architect for my swimming pool project? An architect isn’t always an essential part of a swimming pool project. If you are installing an outdoor pool you may decide that you don’t need an architect. However you will need to employ someone to provide drawings for the pool to submit to for planning/building warrants and to provide the builders and pool builders. If you are still looking for an architect for your building project we recommend contacting Allan Corfield Architects. 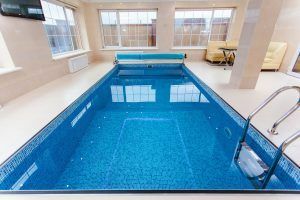 If you have a swimming pool installation company in mind, then they should be able to work alongside the architect to ensure the specification of pool you are looking for is what is planned for in the initial stages. Once you have drawings and specifications from a draughts person or architect you can then go on to get accurate quotes from builders and pool installation teams for your swimming pool project. As well as planning permission and building warrants. Do I need an architect to install a swimming pool in Scotland? What budget do you have for the pool? What size do you want your swimming pool to be (l x w x d)? Do you want you pool to be all one depth? What type of pool construction do you want? Do you want an overflow or skimmer pool? Step 5a: Do I need a builder for my swimming pool project? Most swimming pool contractors exclude the civil and construction works. So you will need a builder to complete these aspects of the project. You can usually employ a local builder to carry out the construction works. If you employ an architect they may be able to help source local and trusted suppliers to help undertake the work if you do not have a company in mind. The building company will usually be involved in the excavation of the hole for the pool. And will potentially be involved in the shell construction if a concrete block work pool is installed (with a liner or tiles to finish). Once you have drawings from the architect or draughts team you can get accurate quotes from the building company for work. Step 5b: How do I find my swimming pool installation team? 1. Sub-contracted by a main building contractor (usually on larger building jobs). 2. Contracted directly by the person having the pool installed. Your builder or architect may have a preferred swimming pool contractor that they like to work with. But as the client, the decision on who you want to build you pool ultimately lies with you. No matter what type of swimming pool you install, the construction process is technical. And you need to ensure you go with a qualified and experienced specialist. Eagle Leisure is one of only two SPATA registered pool installers. At this stage you can use the plans and drawings to approach a pool company(s) to get solid costs for the pool construction and to finalise the design aspects of the pool and plant room. Visit potential partners at their premises (as well as having them visit you). Check out examples of past work. And finally! Go with your gut. If everything checks out. Go with a company you like and trust. A pool building process can be long and arduous for both parties. Liking the team you are woking with. And trusting them to provide you with the vision is an important part of the process. You might have expected this article to be all about design elements. What colour should my pool be? How many lights do I need? There are a lot of superficial design elements that need to be discussed before the pool is properly priced and built. But, while they are important, they are not imperative to consider in the early stages of planning. First and foremost you need to decide if you can afford a pool. And whether the high cost will be worth it for you. After this you need to get in place planning and design team (whether that is an architect or draughts people). A builder and a swimming pool installation team. All these teams should liaise together to do their respective parts. Considering these aspects early on and getting the correct teams in place will ensure a smooth pool installation process. And will result in you ending up with a pool you love.